For a spectrally positive and strictly stable process with index in (1, 2), a series representation is obtained for the joint distribution of the “first passage triple” that consists of the time of first passage and the undershoot and the overshoot at first passage. The result leads to several corollaries, including (1) the joint law of the first passage triple and the pre-passage running supremum, and (2) at a fixed time point, the joint law of the process’ value, running supremum, and the time of the running supremum. The representation can be decomposed as a sum of strictly positive functions that allow exact sampling of the first passage triple. The research is partially supported by NSF Grant DMS 1720218. 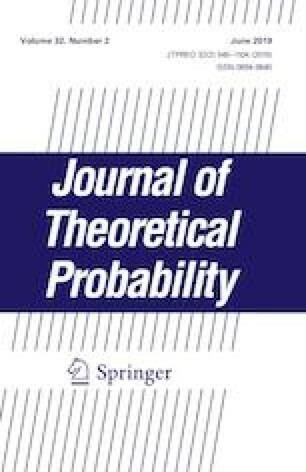 The author would like to thank two referees for their careful reading of the manuscript and useful suggestions, in particular, one that significantly simplifies the proof of the main theorem. Proof of Eq. (16) We need the following refined version of Lemma 16(a).